A top FAQ from my clients? You want etiquette-approved wedding invitation wording examples for no children, divorced parents, and other tricky scenarios. I hear ya–so today’s post is just for you, friend! Figuring out wedding invitation wording is no easy task, on top of the fact that you might have a delicate situation to navigate through. And let me just give you a bit of #truth–I do this EVERY day and there are STILL new wording questions that pop up. Thankfully, I’ve been able to walk all of my clients through it, and, today, I am going to help you do the same. Why? Because wordsmithing your way to the perfect invitation shouldn’t be complicated. Now… I know exactly what I would have done six years ago. And I’m going to tell you all the things I wish I would have known then. 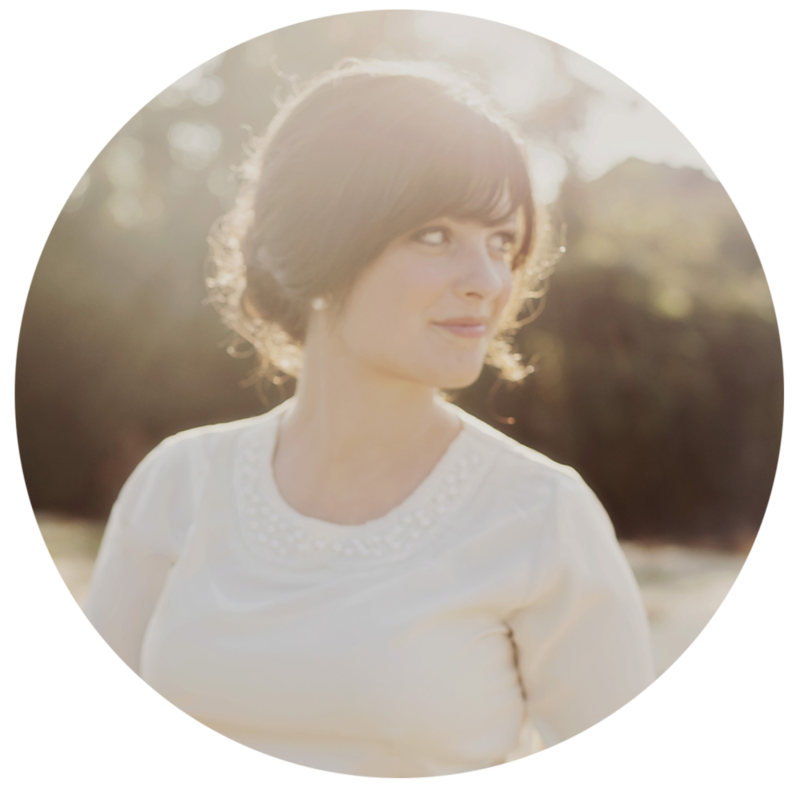 Because the next best thing to hiring a wedding stationery pro is getting free advice from one with six years of industry experience in her back pocket and Crane & Co.’s Wedding Blue Book at her fingertips. Need a few quick examples of wedding reception-only invitation wording? No worries, friend! I’ve got you covered. You are having a destination wedding ceremony and a stateside celebration at a later date. You dream of a small, intimate ceremony and a large party with all of your friends afterward. You’ve eloped (or planning to!) and plan to have a reception to celebrate your marriage. Wording for a reception-only invitation is crucial. Because if you only have 50 seats in that chapel you’re getting married in and 150 people show up–you’ve got big seating issues. It’s important to make sure reception-only guests know that they are not invited to the ceremony. Likewise, it's important for guests invited to the ceremony and reception to be aware they can attend both celebrations. Sometimes, getting started is the hardest part, right? Learn the dos and don’ts plus get a few wedding reception-only invitation wording examples in today’s post. Wedding RSVP card wording–can’t it just be check “yes” or “no”? Yep! It sure can. Buuut, there are a few tricks of the trade you might want to know before settling on generic wedding RSVP card wording. Because if you have limited seating, reception dinner options, and/or a no-kids policy, you’re going to need a little more than a tick mark next to “can’t wait to celebrate” or “will toast from afar”. Maybe you want guests to request a song. And, obviously, you need to know how many folks are coming. I needed almost all of the above for my own RSVP cards, but guess which ones I used? None. Why? Because I didn’t know how to do it. I was swimming in a sea of etiquette rules when designing my own wedding stationery, and I had no idea all of the limitless possibilities there were for wedding rsvp card wording. Thankfully, I’ve learned a lot from my own personal and professional experience, and I’ve been able to help thousands of brides since then navigate their way through a carefully crafted response card. Guest list got you down? This one’s for you, friend… So buckle up, because today we’re going to tackle what is arguably one of the most difficult tasks of planning–wedding guest list etiquette. We’re going to turn that guest list into your best list. After today’s post, you’ll be able to answer those hard-hitting wedding guest list etiquette questions like, who gets a plus-one? Should you have a B-list? How do we tell everyone it’s an “adults-only” wedding? Annnnnd stay tuned for the end of the post where you’ll find my crowd-favorite Wedding Guest List Organizer, which will help you keep all those guests in order from engagement parties to your wedding day and even after “I do”. Are you ready to knock out those envelopes? Well then roll up your sleeves, girlfriend–let’s get to work on how to address wedding invitations! As you can see, this post is clearly marked for modern brides who still care about grammar, but don’t want to be too old-fashioned–like dropping the woman’s first name. Today, I’m going to let you in on a little secret: you can still address wedding invitations formally and include both the husband and wife’s names. Yep, it’s true! Gone are the days when a woman’s name has to be lumped into her husband’s name, i.e. Mr. and Mrs. John Smith. While you may prefer to use formal envelope etiquette (i.e. Mr. and Mrs. John Smith), sometimes modern envelope addressing is necessary for less traditional brides or recipients. However, the number one mistake I see is when brides try to include both the husband and wife’s first names on an envelope. I’m #sorrynotsorry, but both are incorrect. I’m a stickler for grammar–can’t help it! English was always my favorite subject, Journalism was my major in college, and now I study wedding etiquette relentlessly so I can help my clients make the right choice for their stationery. After all, this is the fanciest mail you’ll ever send out. If there’s ever a time to channel your inner Kate Middleton, it’s with your wedding stationery. Today, I’m going to answer all the top wedding invitation etiquette questions I’ve been asked over the past (almost) six years of being in business. Whether you’ve been planning for months or just getting started, you know that wedding invitations go beyond just selecting the perfect design. You also have to consider wedding invitation wording, how many wedding invitations to order, and other tasks that might be out of your expertise. This is also the step where you might be simultaneously fine-tuning your guest list, too–especially if you skipped sending save the dates. It’s not as easy as tasting all those cake flavors, is it? Wedding stationery can be overwhelming! When I was designing my own invitations, I made so many rookie mistakes. I ordered save the dates for every guest (instead of counting households), which ended up being costly. I struggled with wedding invitation wording, too. I aspired for a formal invitation that reflected the kind of event we were having, but I ended up with wording that was slightly vague, impersonal and grammatically incorrect. I just needed quick and simple answers. Thankfully, I’ve learned so much since then! As a stationer, I’ve handled so many tricky wedding invitation etiquette scenarios, and I’m happy to say I’ve been able to carefully walk all of my brides through each dilemma to bring them one step closer to the perfect invitation. Alright, let’s dive right in, shall we? In today’s post, I’m tackling little-known etiquette rules for the return address. The topic of how to address wedding invitations is widely covered. (I’ve covered it many times too! It’s one of my favorite topics, and something I get questions about all the time.) But, there are also a few rules to keep in mind for your return address. So if you’re a grammar nerd, if you love tradition and all things proper, or if you just want your invitations in tip-top shape, then let’s get started. Let’s talk about wedding etiquette and honorifics! Exciting right? Not so much. You’re here because you need to know ASAP how to address wedding invitations the right way without offending anyone–not for a full-on grammar lesson. In today’s post, you’ll quickly learn how to address wedding invitation envelopes that are grammatically correct. You've hired a calligrapher, bribed a best friend with good handwriting or opted for printed envelope addressing. Your wedding guest list is before you, along with hundreds of envelopes. Now it’s time to #getitdone. Whether you're a traditional, modern or laid back bride, your entire wedding invitation suite should have a sense of formality. And that includes your envelopes too! Thankfully, I have an easy-to-follow guide for wedding envelope addressing to help you get it done easily, quickly and correctly. You’ve found the perfect invitation, now what? It’s time to personalize your wedding invitation and make it your own! This is the most exciting part, but sometimes wedding etiquette can be a little tricky to navigate–especially if you desire very formal wedding invitation wording. There can be a lot of sensitive scenarios involved (especially in the case of divorced and/or remarried parents), and of course you don’t want to hurt anyone’s feelings. There are many different variations of wedding invitation wording, but if you want a truly timeless and formal wedding invitation, today’s post is just for you. If you desire an elegant affair, your wedding invitation wording should reflect that. Your wording is a subtle cue that lets guests know whether or not you are hosting an upscale wedding or a laid-back celebration, and it is often the only indication guests will get before the big day of how snazzy your wedding will be. In this post, you'll learn a few simple steps for formal wedding invitation wording. Plus, get 12 wording samples to make all your own! Now that you've nailed down proper wording for your wedding invitations, you may need a place to relay extra information to loved ones. If you're a bit overwhelmed as to which ones you may need, this post serves as a guide to what every bride should know about wedding enclosure cards. To save on postage and added stationery costs, you can merge some wedding invitation inserts together. For instance, you can most certainly include hotel room block and transportation details on the same enclosure card. However, if you are hosting a very formal event, you may want to follow proper etiquette and list details on separate enclosure cards by topic. In any case, you'll want to make sure all of your wording is brief and to the point. An wedding details card with too many words will likely appear cluttered and difficult for guests to read. Without further adieu, let's get started, shall we? Here's the rundown on wedding enclosure cards. Wedding invitation wording can be overwhelming. Let's be honest, it's way more fun to pick your wedding flowers and linens than it is to determine wedding etiquette for stationery. But, it's one of those small tasks that can have a huge impact. Your invitations and your invitation wording set the tone for your big day. Are British spellings like "honour" and "favour" used even though the couple is American? I read: super formal event that's definitely black tie. Even if you aren't familiar with wedding etiquette, you can make a few generalizations about what kind of wedding it will be from the invitation you receive. Even simple phrases like "Can't wait to celebrate with you!/Will toast from afar" on response cards can indicate a more casual, relaxed wedding environment. And if I could let you in on a little confession... I had no clue how to word my own wedding invitations nearly five years ago, and since I DIYed my invites, they were riddled with mistakes. (I know, I know–but Pinterest was just catching on!) I didn't go to a professional for help, and although I do remembering Googling wedding etiquette, I guess I just didn't find the right resources. Thankfully I've learned a lot since being in the business for almost five years. And now it's time to share my knowledge with you. Because I want you to have the perfect wedding, and the perfect wedding starts with the perfect wedding invitation. Thank you! Check your inbox in the next few minutes for details on your discount.